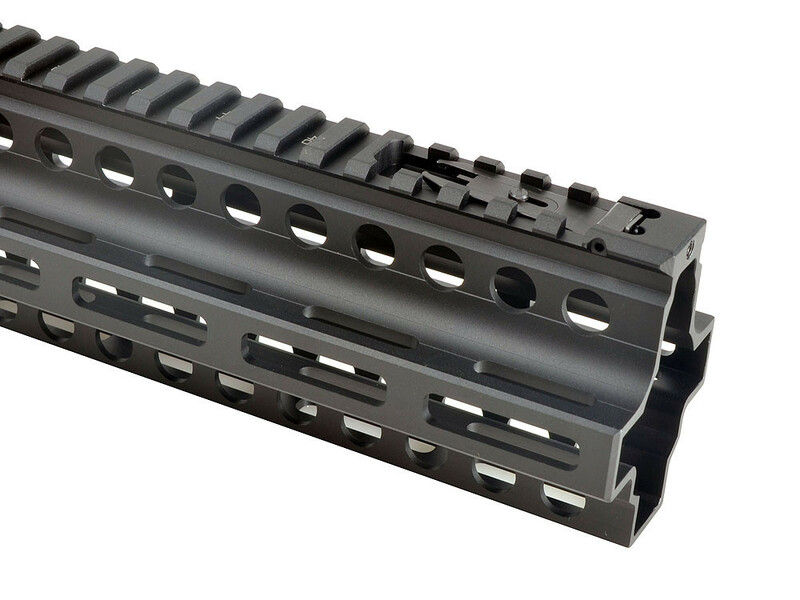 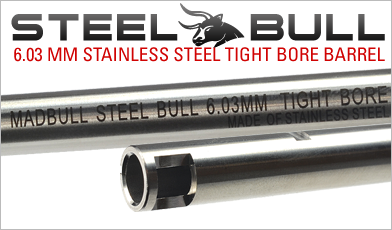 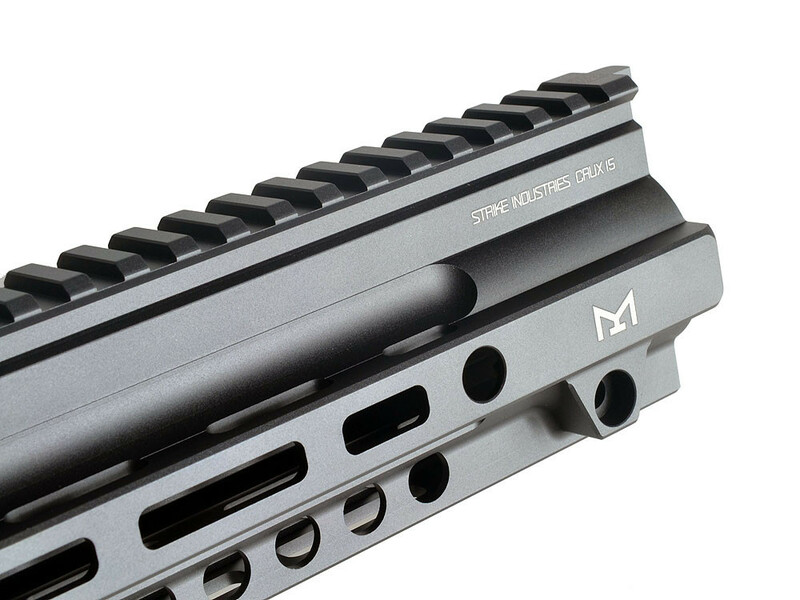 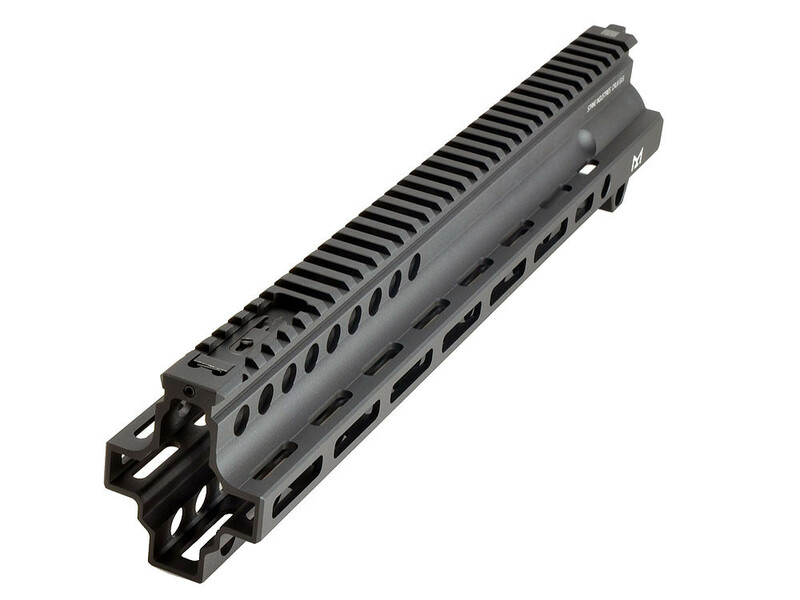 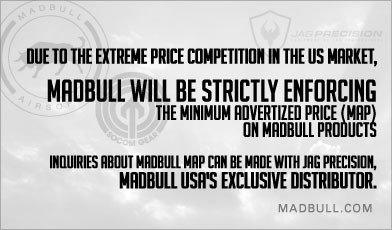 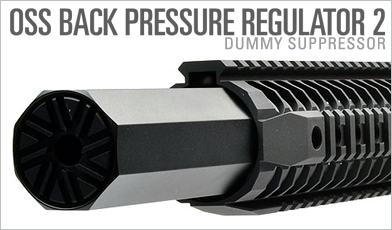 Licensed by Strike Industries, Madbull proudly present the Crux Handguard M-lok rail. 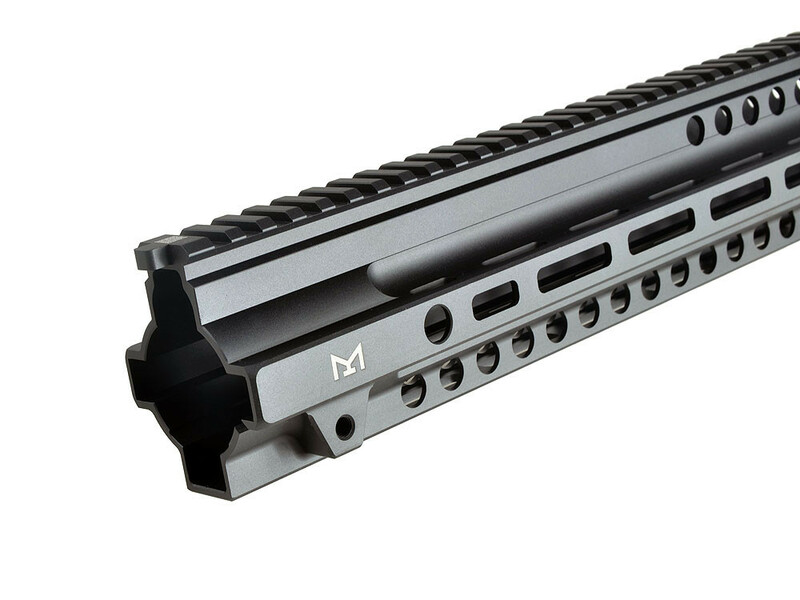 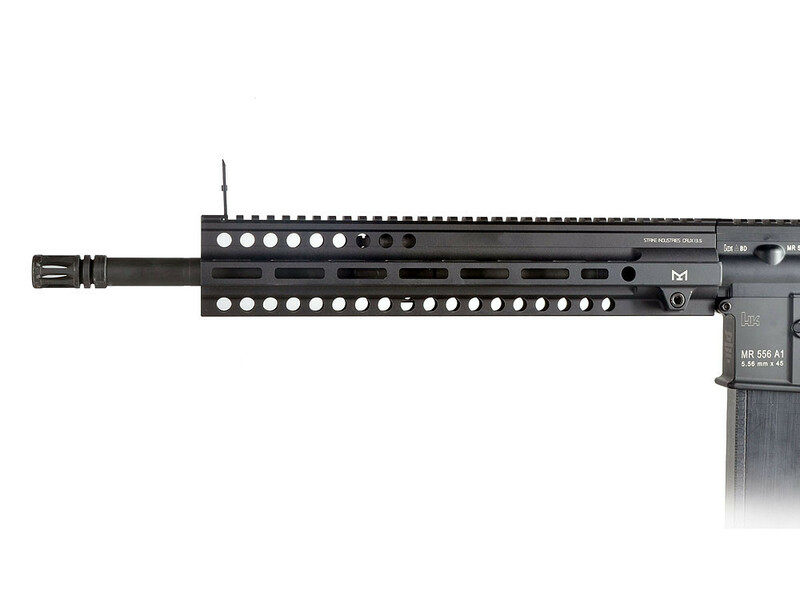 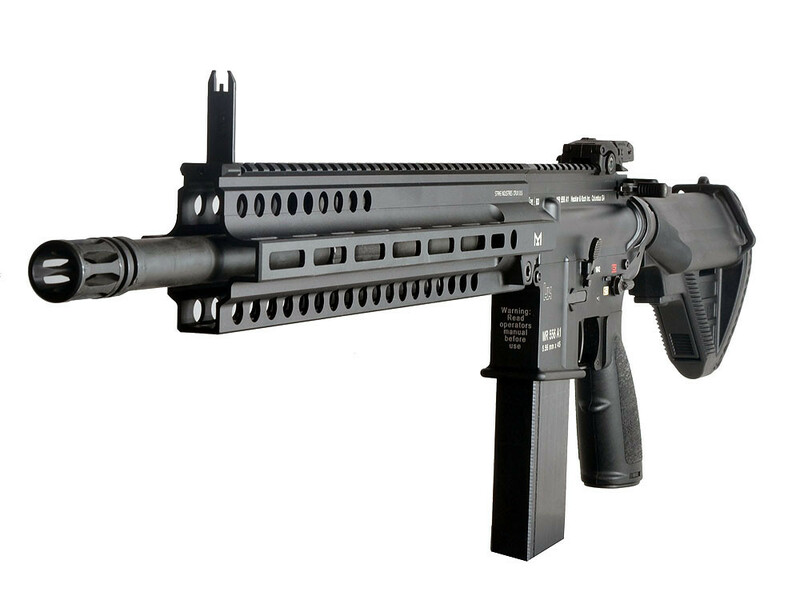 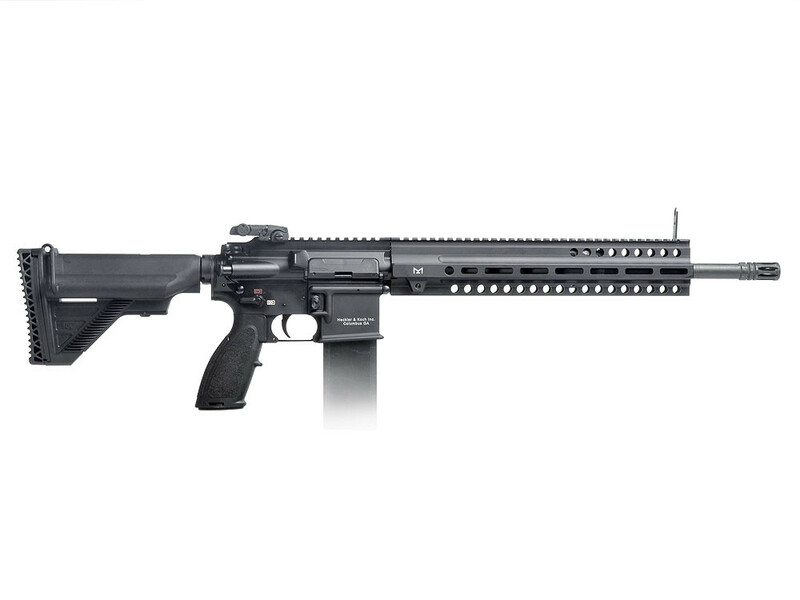 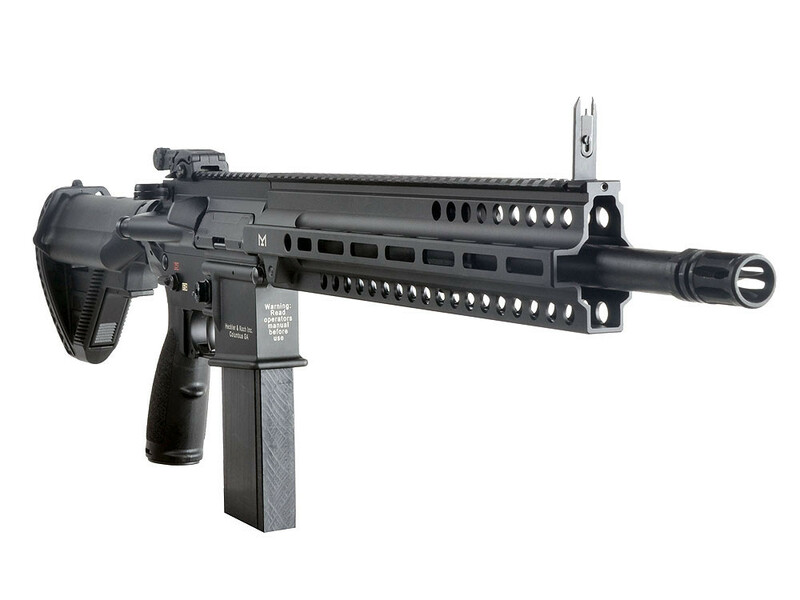 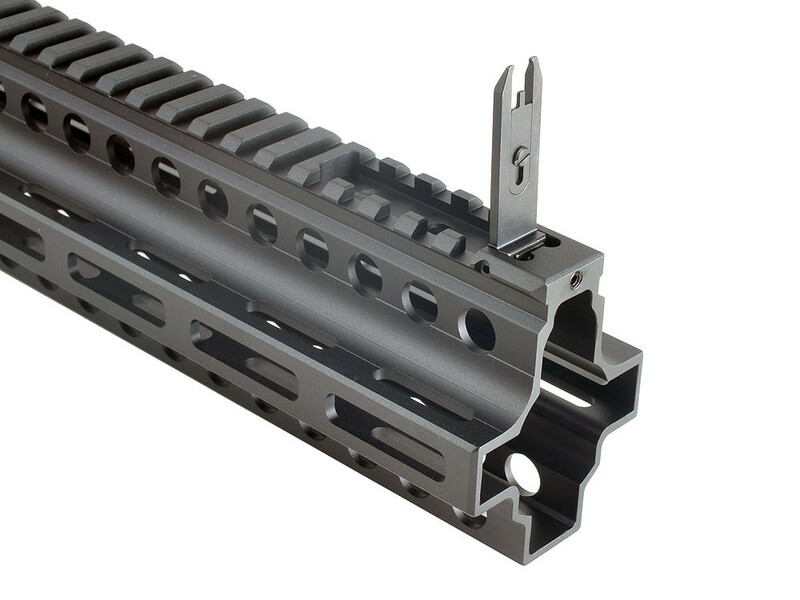 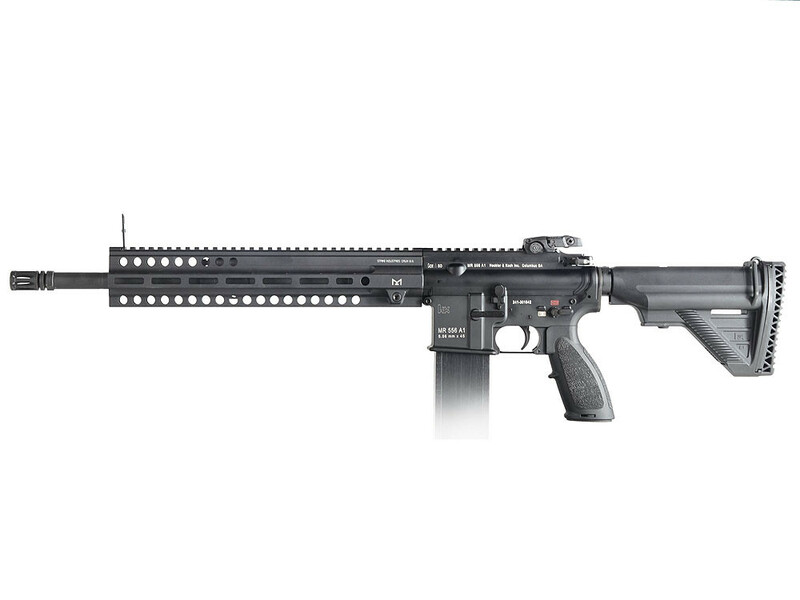 It is a ultra-light weight M-LOK rail for the MR556 and HK416.Weighing in at a fraction of the original rail. 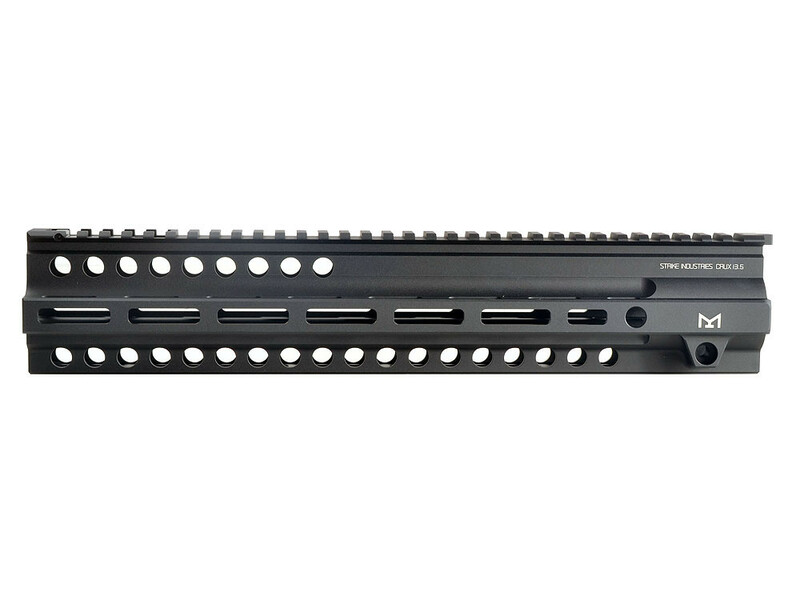 The CRUX handguard features M-LOK sessions at the 3, 6, and 9 o'clock positions with front flip-up sight. 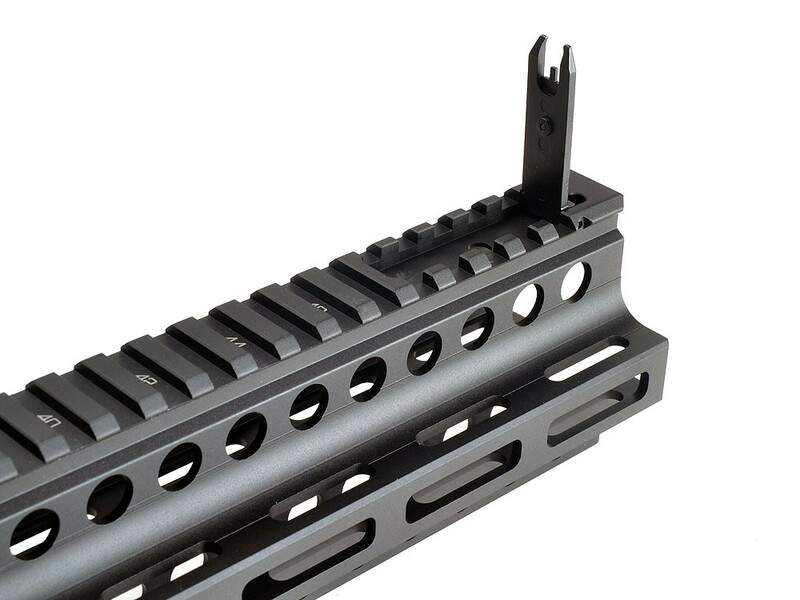 If you're the person that lives by the saying ounces equals pounds and pounds equal pain this is the rail for you.